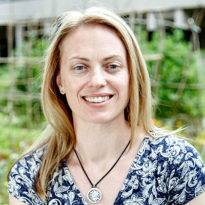 Claire is Associate Professor in Natural Resources Management at the Sustainability Research Institute at University of Leeds. Claire is currently working with CCCEP to investigate linking top-down and bottom-up approaches in climate change adaptation research in sub-Saharan Africa. She is also part of a consortium of researchers from across Europe investigating the prevention and remediation of degradation of soils through land care (RECARE). In addition, she is involved in work to understand perceptions and behaviour change around invasive non-native species in the UK, funded by NERC. She has just completed a M&S NERC Knowledge Exchange Fellow, working with Marks and Spencer to maximise the uptake of existing NERC-funded environmental science research relevant to business. Claire has a BSc (Hons) in Biological Sciences, ecology specialism from Kings College, London, as well as an MRes Ecology and Environmental Management and a PhD in Social Policy and Environmental Management from the University of York. Claire is an ecological social scientist with over 15 years of experience working on interdisciplinary projects in Africa and the UK. Her research interests lie at the interface between social and agricultural dimensions of environmental change and sustainability. Specifically her focus is on the livelihoods, vulnerability and adaptive capacity of farmers, and their relationships with governance, ecosystem services and landscapes, and supply chains. The role of institutions in the transformation of coping capacity to sustainable adaptive capacity. Nesting REDD+ into Integrated Conservation and Development Projects: what empirical lessons can be drawn?